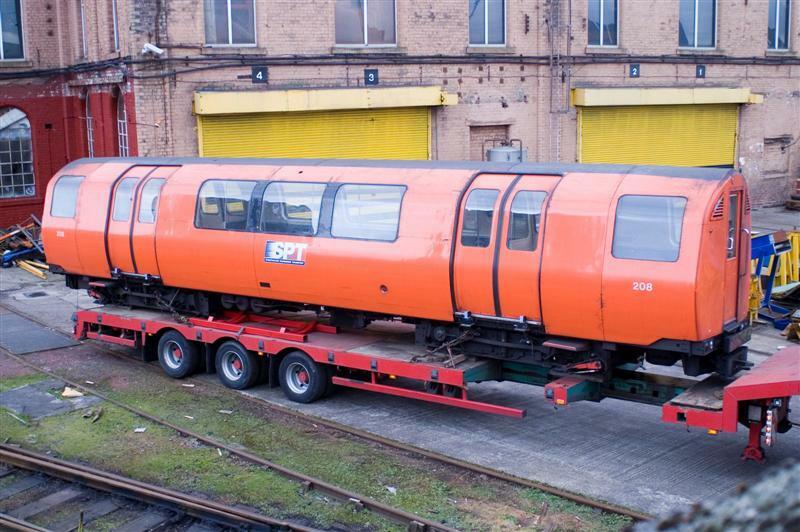 The Glasgow Subway is owned and operated by SPT. The Subway forms a 10.5km circle in the centre-west of Glasgow. All of the passenger railway is underground, contained in twin tunnels, with trains running clockwise on the 'outer' circle and anticlockwise on the 'inner'. The tunnels are very small, only 3.4m in diameter, and the trains run on an unique track gauge of 1220mm (4 feet from rail-to-rail). It started in 1896 as a cable-hauled system, but was converted to electric 3rd-rail operation in 1935. The Subway continued to operate with its original rolling stock until 1977, when the system was closed for modernisation. The railway in its present form reopened for passenger use on 16 April 1980. A maintenance depot and control room was built at Broomloan as part of the modernised system. It was branded as the 'Underground' from 1936 onwards, until SPT decided to revert to the popular 'Subway' name in 2002. Thirty-three new vehicles were built for the modernised system by Metro-Cammell of Birmingham and delivered between 1977 and 1979. Each car is 12.58 metres long, has 4 traction motors and a driving cab at one end and has a maximum speed of 54km/h. 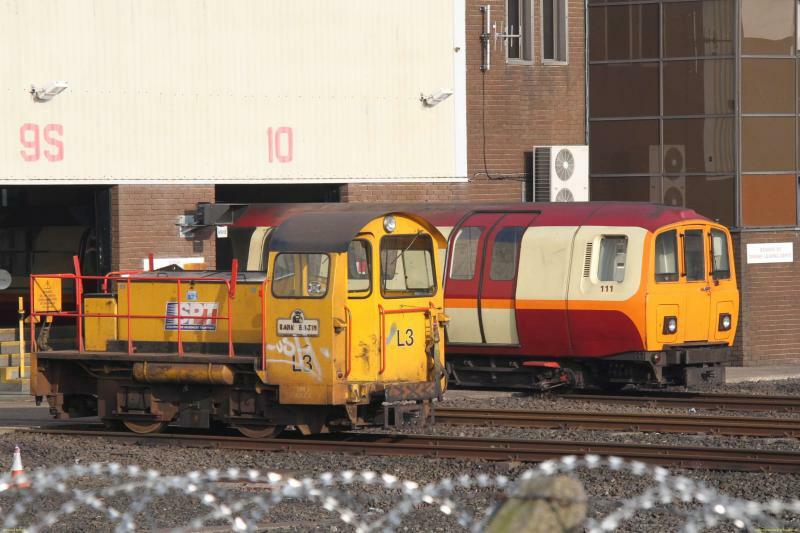 The 33 'power cars' built by Metro-Cammell were supplemented by 8 'trailer cars' built by Hunslet TPL of Leeds (and fitted out at Kilmarnock) in 1992. The 'power cars' were refurbished in 1995 by Adtranz at Derby, and the 'trailer cars' were refurbished by Railcare at Glasgow Works from early 2007. Trains are normally formed of three cars, the maximum length of train that can be accommodated in each station. The formation is a 'power car' at each end, and either a 'trailer car' or freewheeling 'power car' in the centre. A three-car train has a seating capacity of some 112 places, and space for additional 165 or so standing passengers. When new, the trains carried a light orange livery with a white white band, and 'GG Trans-clyde' branding behind cabside windows. After a few years they were painted in a darker orange, 'Strathclyde Red', but without the white band. From 1983, the livery featured black window pillars and 'Strathclyde Transport' branding on middle of the bodyside. In the late 1990's 'SPT' branding in blue, red and white was used. To celebrate the Subway's centenary in 1996, two cars were turned out in lined Carmine and Cream livery, the original colours of the Glasgow District Subway. The final repaints in to the 'Strathclyde Red' livery featured yellow doors and black SPT logos. Between 2006 & 2011 the SPT Subway livery was Carmine and Cream, divided by an light orange stripe, and full orange ends on the driving cabs. From 2011 onwards the stock returned to the Orange livery, now accompanied by patches of white and grey to give a more modern look. Another celebratory livery was applied in December 2016 to cars nos. 101 & 130, the set works in a past, present, future nature (Past being 101. in District Subway colours, present being any car with the orange/grey/white, and no. 130 as the future - being a grey with orange doors, inner/outer line lining & darker grey front. This is styled in the fashion of the oncoming Stadler driverless subway trains to be introduced by 2020. Some cars have also carried advertising liveries. In 1999 a train was given all over black vinyls promoting Morgan's Spiced Rum, and in 2004 another was given blue vinyls promoting mobile phone network o2. There are also three battery electric locos (built by Clayton Equipment) for hauling engineers trains. These are named after characters from a Bud Neill cartoon strip. On the 4th March 2016, it was announced by SPT that as part of the Glasgow Subway modernisation and refurbishment plan that this would include the introduction of entirely new Subway Trains that are to be designed by Stadler. These have been planned to be driverless and this also will warrant a complete resignalling of the system. With a value of £200 Million being sunk into the project, it is estimated to be completed by 2020. Created by scot-rail admin and last modified by TheDustyBinman at 16:16, 04 of October 2018.